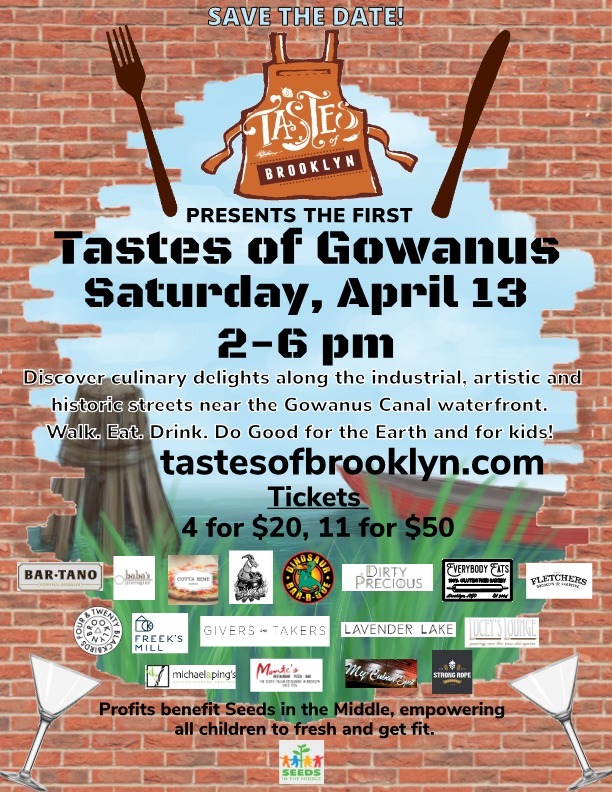 Join the @Tastes of Brooklyn's first Tastes of Gowanus, Brooklyn Crawl and check out the fine #food #drink of this upcoming, #artistic neighborhood - nestled between #CarrollGardens and #ParkSlope. Ticket buyers walk around and try tastes of sumptuous fare offered by #restaurants #bars #bakeries and more between 4th Avenue and Bond Streets, DeGraw down to ... well we are not sure yet. All profits go to Seeds in the Middle, empowering students, families, schools and their communities in central Brooklyn and beyond to create healthier places to live and learn.